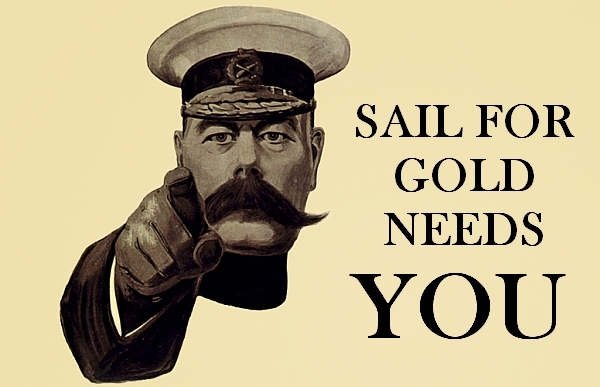 Wednesday the RYA extended the discounted Early Entry fee for the Sail for Gold Regatta until Sunday 11 May. So will this change your mind on entering? A quick look at the Entry lists today shows just why the discount is extended. I counted just 60 entries across the 11 events and only 12 overseas entries. Some events have just one or two entries! This is less than HISC had out for a Charity Pursuit race last weekend. Do the RYA need to re-think this event – the only international multi-class Olympic and Paralympic event staged in the UK ? The British event is now part of the EUROSAF Champions Sailing Cup, which picked up the regattas that are no longer part of the ISAF Sailing World Cup series. The first event of the Champions Sailing Cup is taking place on Lake Garda with around 300 entries, which is followed by the Delta Lloyd Regatta in the Netherlands (350 entries to date), with the Sail for Gold Regatta a week later (2 – 6 June) before Kiel Week in Germany (loads of entries) for the final event at the end of June. Without the big number classes, the Laser and Radial this year and the top Finn guys putting all their efforts into their Europeans, entries are looking thin. The Dutch have added the Moth and Kite racing to extend the classes and already have good entry numbers, although they also extended their discount entry period. Of course Keil Woche is a sort of mix of Edinburgh Festival and Cowes Week which attracts thousands to sailing and so much more. That type of event has always been outside Sail for Gold thinking, blinkered by the RYA ‘Olympic is all’ ethos rather what’s good for UK sailing. Would-be competitors now have up until Sunday 11 May to get the discounted entry period and final entries must be in by Friday 23 May – Remember, Sail for Gold need YOU!